An experimental drug developed by Peter Mac’s Professor Joe Trapani could help prevent deaths from one of the world’s most common viral infections, hepatitis B. Most people who contract this liver infection are ill for some days or weeks but then recover, either eliminating the virus completely or entering a chronic ‘carrier’ phase where the virus remains controlled. However some have an overwhelming “fulminant” reaction to their initial contact with the virus, which can cause liver failure and death. Medical researchers and clinicians have struggled to understand why a minority of patients seem so sensitive to the virus, and have long suspected the very powerful immune response may be at fault. An international collaboration involving Peter Mac, and Germany’s University of Wuerzburg and the Technical University of Munich has shed new light on this problem and tested a new drug which may ultimately help this highly sensitive group of patients to survive the acute phase of the infection. Working in a mouse model of fulminant viral hepatitis, the researchers showed that cytotoxic T cells (immune killer cells) raised against the virus in the days following infection are indeed partly responsible for the severest form of the disease. In a landmark paper in the international journal Nature Communications, the teams showed that the fatal form of acute infection arises when the immune system attacks the cells lining tiny blood vessels in the liver, as well as the liver cells that are harbouring the virus. ‘By additionally attacking this barrier lining the blood vessels, which regulates the access of the killer cells to the virus, the immune response becomes so rapid and overwhelming that the liver is virtually wiped out’ said Professor Percy Knolle from Munich. Read the paper titled "Perforin inhibition protects from lethal endothelial damage during fulminant viral hepatitis". Using a new drug developed by Trapani’s team at Peter Mac, Professor Wolfgang Kastenmuller’s team in Wuerzburg showed that slowing down the immune system’s attack on the blood vessels also slowed down the rate of liver cell damage, so that most of the infected mice survived the acute phase. “We were very surprised,” says Professor Kastenmuller. The experimental drug, known currently as SN34960, was originally developed by Professor Trapani’s team at Peter Mac and chemists at the University of Auckland to block the rejection of bone marrow stem cell transplants given to cancer patients recovering from the toxic effects of cancer chemotherapy. The drug blocks the action of perforin, a key protein that enables the immune system to kill infected cells, or those perceived as ‘foreign’ or otherwise a danger to the host, such as in a transplant. Prof Trapani says the current study modelling human hepatitis B infection had demonstrated how blocking perforin can be beneficial in circumstances where the immune response is unchecked. “The immune system was still able to eliminate the virus but by slightly slowing viral clearance, the drug prevented the liver from being totally destroyed,” says Professor Trapani. “The current study provides ‘proof of concept’ that perforin inhibitors may actually be useful for a variety of important disorders where the immune response needs to be slowed. Investigators are hoping to take this new class of drugs into clinical trials in a number of disease settings within the next three years. ‘We are especially grateful to the Wellcome Trust UK for the more than $12 million of research grant funding that has so far gone into developing the world’s first perforin inhibitors’ said Professor Trapani. 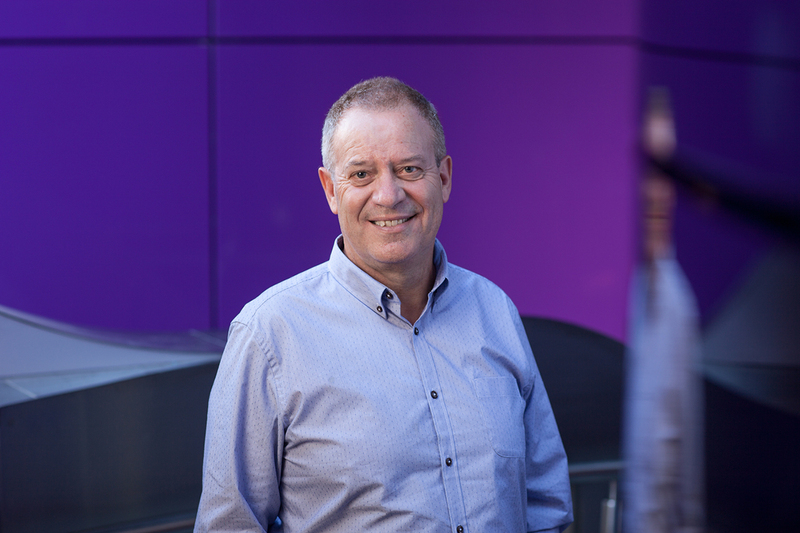 Prof Trapani MBBS FRACP PhD FFSc(RCPA) FAHMS FAA has led the Cancer Immunology Program at Peter Mac since 2000 and was recently appointed Director of the new Immunotherapy Centre for the Victorian Comprehensive Cancer Centre (VCCC) alliance.